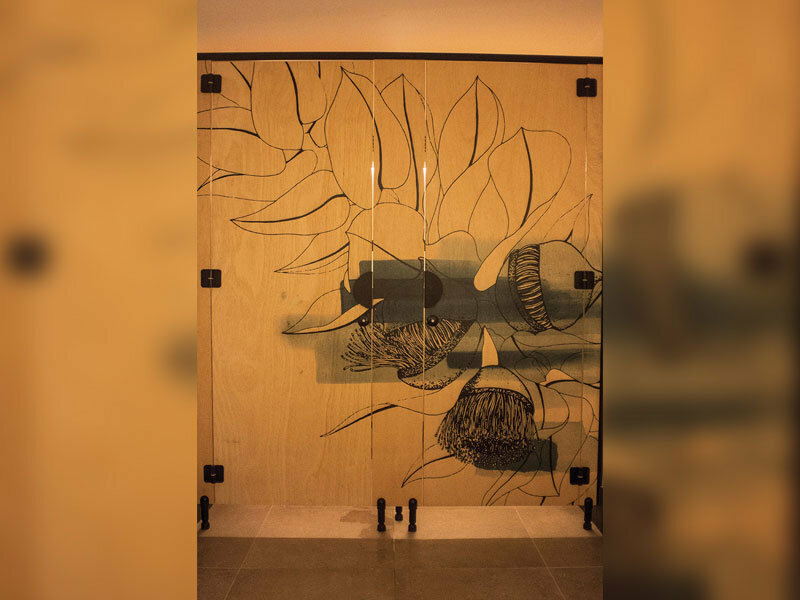 Interior designers ProjectBlak engaged us to print directly to plywood bathroom partitions for Subiaco wine bar New Normal. 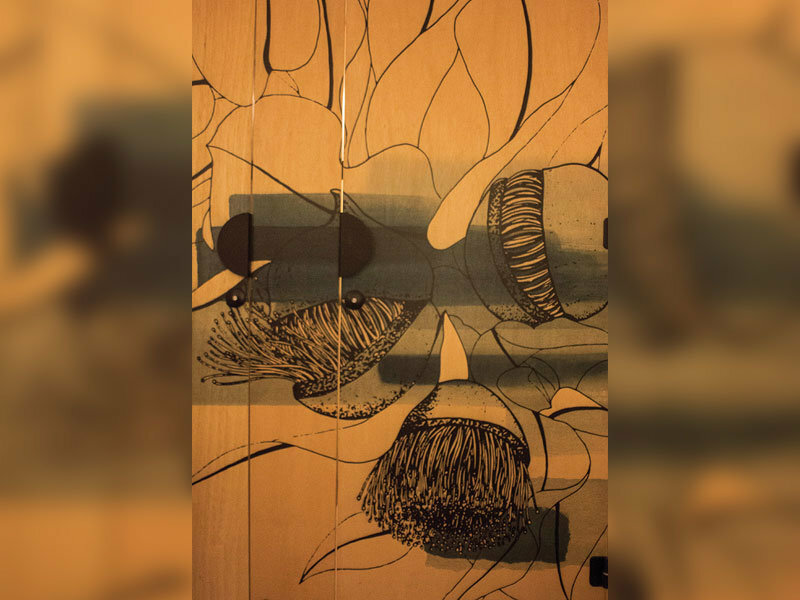 Artist Tom Seabrooke took inspiration from native flora, creating an artwork design going across both internal and exterior partitions in the male and female bathrooms. As a specialised project, using plywood cut panels provided by ProjectBlak, we took time and care to ensure a high quality finish. We tested different ink densities to achieve the desired colour output, providing samples to the client for sign-off, along with a 3-D model of the partitions prior to print. 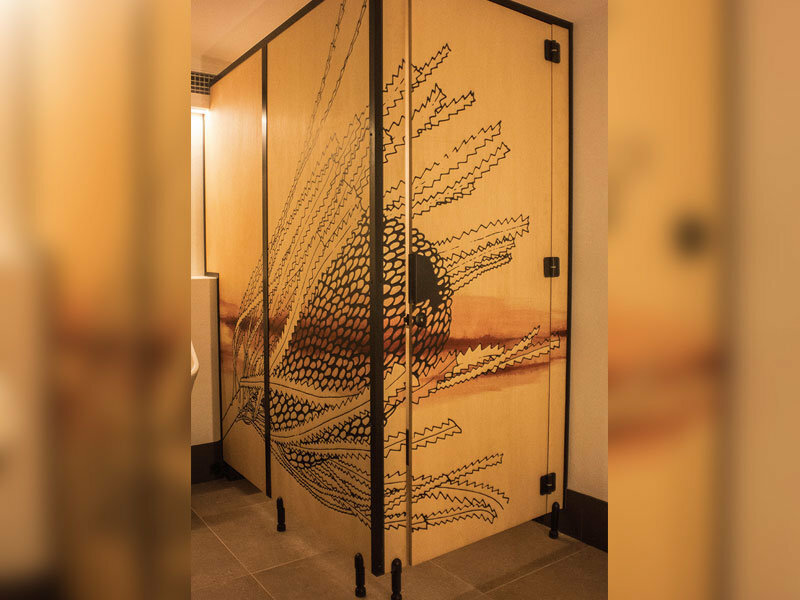 The result is a one-of-a-kind statement piece sure to leave an impression on New Normal patrons.